Bayou Savage Ghost Fighter: First of all, imagine guitar ghost fighters, sci fi, paranormal adventures furthermore blended with electrifying rock and roll! And as a result, the Savage family of Guitar Ghost Fighters of Razor, Bayou and Mist along with Quirk, Leslie Quinn and the Ghost Defense Institute are back! And locked in an almost mortal combat with the Magi and his legions from hell. In addition, the prison doors have opened and the blood thirsty souls are also ready for revenge. Most noteworthy question of all now is, what’s left of the world, from the Religious Wars of 2012? Therefore, formidable psychic, Leslie Quinn, unrestricted by conventional dimensions, has led Razor Savage, Quirk and Mist to the ghost fighting battlefield. There are various questions that arise in the mind of a common man. Does the researcher use the pseudo-scientific methods? Does a research end with indecisive as well as ambiguous consequences or a solved mystery? 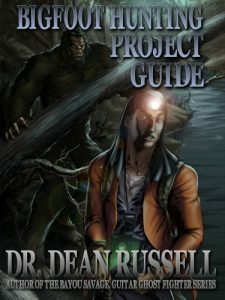 If you need extra knowledge about ghost hunting and investigation then you may follow Bayou Savage, the Ghost Wars: Book II. There are a lot of going on in the Ghost Defense Institute. 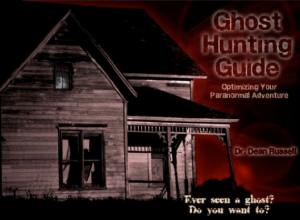 Ghost hunting and its related investigations can be deceivingly tricky activities.If you want to learn more about ghost haunting you may follow Bayou Savage, Guitar Ghostfighter: The Resurrection. Follow us now into what seems like an unknown world of phantoms, paranormal fiends, a mystical guitar talisman and the ghost warriors that have come to save the planet. Will the guitar ghost fighters’ succeed?